Parking Permit Online Internet Browser Recommendations. iii) Popup Blocker: If any popup blocker is installed, please make sure to allow PPO. 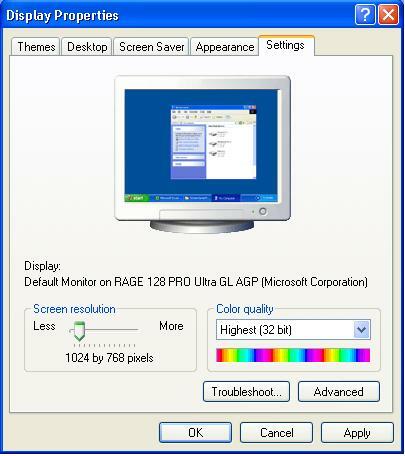 iv) Change Your Screen Resolution: Computer monitors are able to display variable sizes of screen resolutions. The higher the resolution, the more workspace your computer can display. All the parts of your screen are scaled back, so that the words and images are smaller, but you can see more at the same time. Computers are generally set at an 800x600 standard resolution. The best resolution to use PPO is 1024x768. Find the Control Panel. 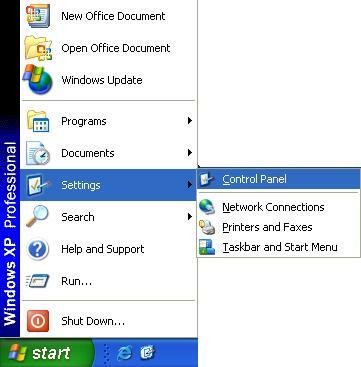 If you are running Windows 98 or 2000, it is in Settings. In the Control Panel, click Display. This will bring up the Display Properties window. Click Apply, then when a dialog box comes up, click OK.
Close the Display Properties Window. © 2010 Parking Permit Online. All Rights Reserved. Sunnetca Inc.